Coriander Girl: Workshop Announcements for our Toronto location! Workshop Announcements for our Toronto location! No two wreaths are exactly alike so this workshop never gets old! We'll be working with the loveliest materials including, dried berries, pine cones, cotton and other delicious bits. Snacks and refreshments included! Yum. Call now 416 532 3333 to register your spot with us! Or email us at hello@coriandergirl.com We can't wait to host you! 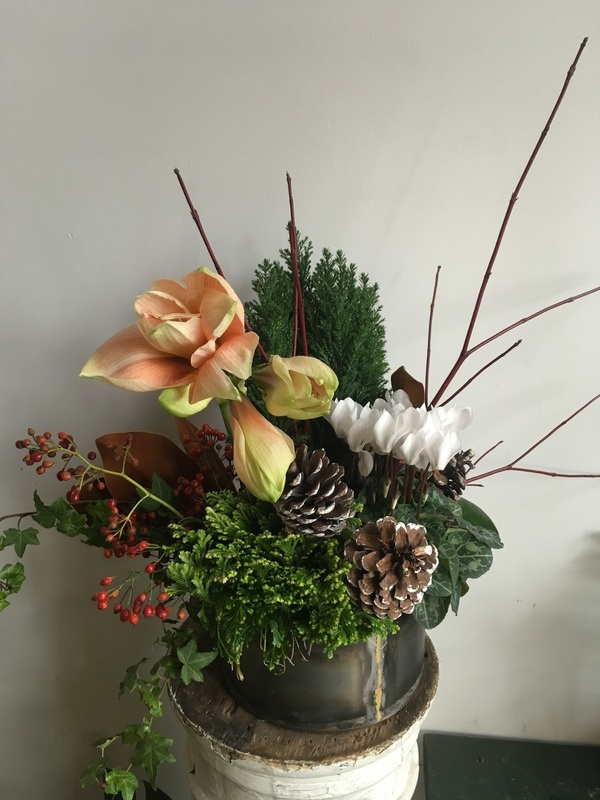 A darling table top planter that will last the holiday season, a mix of evergreen, winter berries and blooms, paperwhites and amaryllis. All workshops include materials, delicious snacks and refreshments. Book your spot 416 532 3333 and we'll see you soon! Thanks again for the post.Really thank you! Much obliged.. I am very impressed with this post, this site is always a favorite. Thank you so much for the interesting posts. Active Forskolin Do you have any symptoms? It is a hostile to histamine or against flu dynamic fixing. It causes regular dormancy. It can be utilized with chafing mixes or in little measurements to beat the impacts of quieting. How does the body work? Forskolin initiates some of our body's catalysts and kicks in the wake of consuming. Enactment of catalysts, for example, adenylate cyclase brings about the initiation of kinase proteins. Nice Article to read. Thank you for providing this article.